Mrs. Bertha Honoré Palmer was instrumental in organizing the women who would become members of Chicago Chapter, the First Chapter of the National Society, Daughters of the American Revolution. 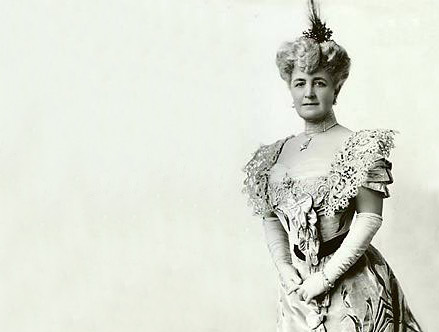 As President of the Lady Board of Managers for the 1893 World’s Fair in Chicago, she kindly placed her headquarters at Mrs. Effie Beulah Reeme Osborn’s disposal for the preliminary meeting. Ironically, it was discovered that Mrs. Palmer was not eligible for membership in the National Society based on her lineage. For her extraordinary efforts in organizing the first chapter she was made an Honorary Illinois State Regent. Today Chicago Chapter hosts regular Bertha Honoré Palmer Teas for New Members. We honor Mrs. Palmer’s efforts in organizing Chicago Chapter as the first chapter of the National Society, and we invoke her social grace in welcoming our newest members.